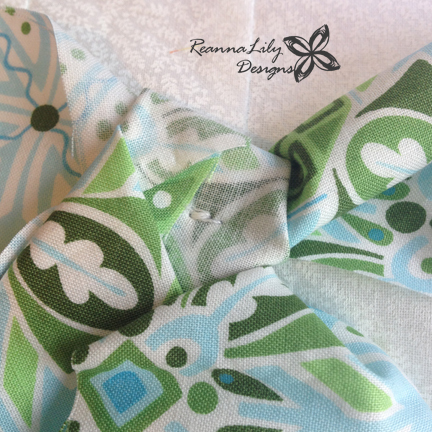 Today’s National Sewing Month Project is brought to you by Jen Eskridge from ReannaLily Designs. 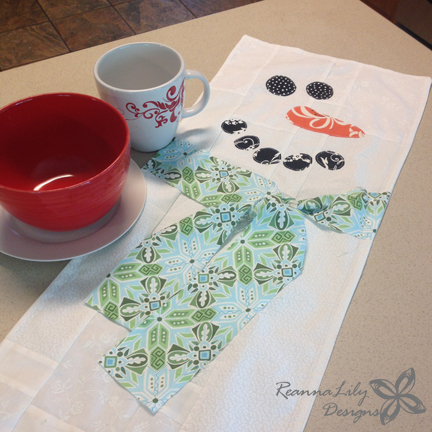 It is winter somewhere in the world and now we can celebrate with this Snowman Table Runner! 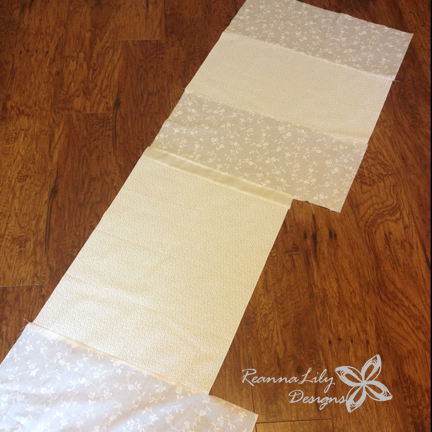 This table runner is very fast to create and can be created with fabric scraps or purchased yardage. Have the kids help and give your winter a bit of personality with this little fellow. 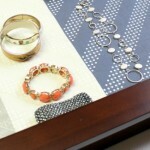 This project is so fast and easy, it also makes a great hostess gift for the holiday season. My Snowman Table Runner finished up at 11-1/2″ x 50″. Yours can be any long rectangular size. To create the white background for the snowman, you may opt to purchase 1/2 yard of white fabric. Going this route will have your snowman ready in record time. Your finished snowman will be around 17″ x 40″. 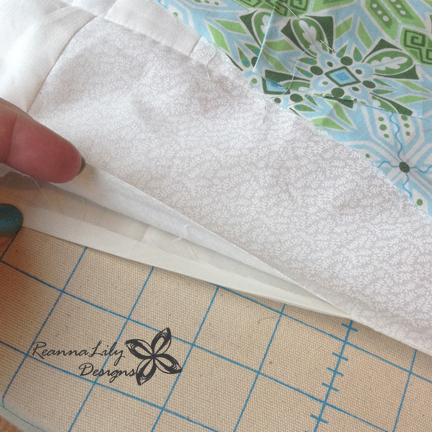 Use your 1/4″ presser foot and/or Seamingly Accurate Seam Guide to join all your assorted white fabric scraps. Match the cut edges with the 1/4″ mark on the seam guide. In my case, I had portions of quilter’s fat quarters (18″ x 22″ pieces of cotton) left. I joined these large chunks to create a rectangle slightly wider than I’d like and slightly longer than I’d like. Next, fold the long rectangle in half twice, to trim the edges. 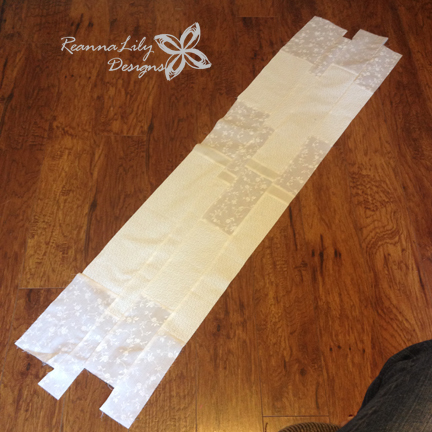 Cut the large rectangle in to four wide strips. Anything from 3″ – 5″ will work. Return to the cutting mat and trim the two ends even with the shortest piece. Prepare the fabric per the Heat’n Bond directions. Thankfully, little chunks of coal are not perfect circles so you can easily cut out “round” shapes for the eyes and smile. One rounded, elongated triangle cut from the orange fabric will complete the nose. I think we can agree, the placement of these shapes will determine the character of your snowman. Play around with the placement: wide eyes, straight mouth, curved mouth, off-center, nose pointed up/down, etc. Should you want a recognizable snowman like Olaf or Frosty, a quick google search will guide you to coloring pages which you can use as templates. Once the face is decided, peel off the paper backing and fuse the fabric to the background. 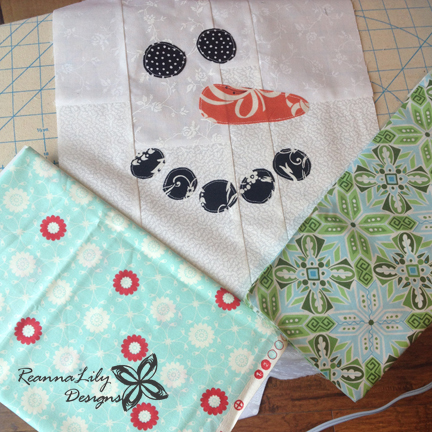 The last step in this raw-edge applique method is to edge-stitch around each fabric shape. Ironically, scarves keep you warm…. why would a snowman want to be warm? Who knows? Feel free to skip this step and move on to the next Finishing Step, or stay right here and give your snowman a bit more color. 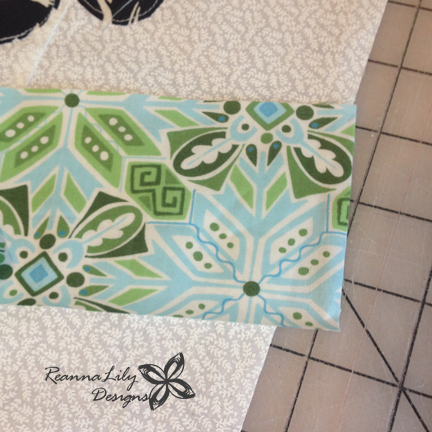 If your table runner is wider than my 11-3/4″ runner, you may need more scarf fabric. Also, if you’d like your scarf ends to dangle the entire length of the snowman (for instance, if you use this guy as a wall-hanging, rather than a runner), you may need more scarf fabric. 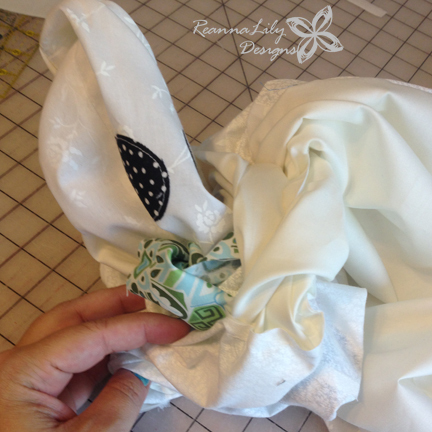 Align the cut edge of the background fabric and scarf fabric. Tip the scarf down slightly. Baste the scarf edges to the background. Tie a loose square knot to see how you like the look. I tied my know off-center a slight bit. Measure your table runner. Any long rectangle will be the perfect size. 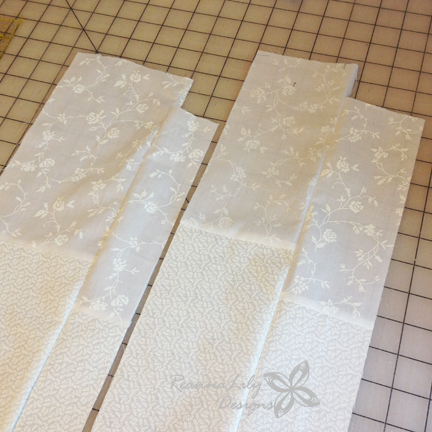 Cut a backing fabric the same size as the runner top. Quick note– If you plan on using this on your table, you may consider adding Insul-Bright to the project, stitching it to the wrong side of the snowman table runner before applying the backing. This will make your runner heat proof for use as a hot-pad or trivet. 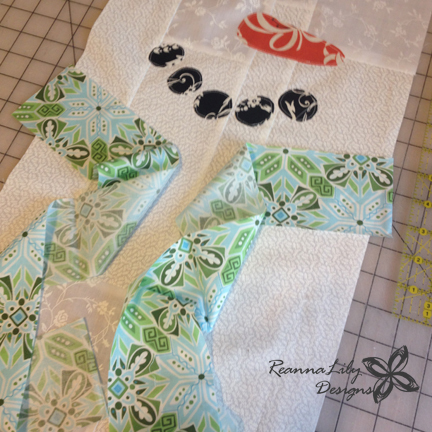 Pin the backing fabric to the snowman runner, matching right sides. 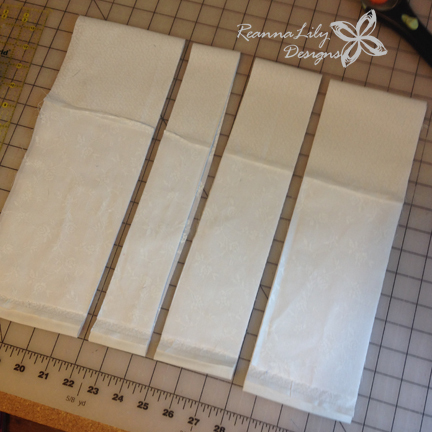 Use a 1/4″ seam allowance to sew around the rectangle, leaving a 6″ hole along one side. Turn the runner right side out through the opening. Carefully press around the entire runner, making sure none of the seams are “pulling in” along the edges. Tuck the seam allowances into the opening and press. 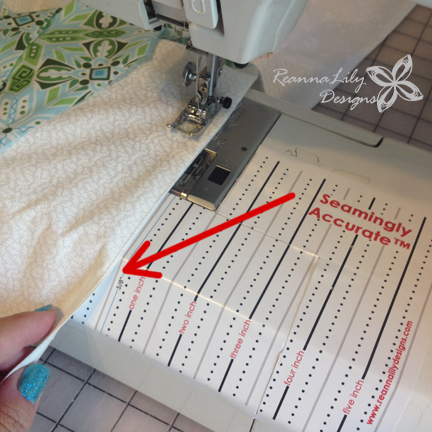 Using your Seamingly Accurate Seam Guide, align the pressed edge with the 1/2″ mark to sew a flange around the entire runner. When sewing the flange edge, I pivoted at each corner rather than sewing off each side. Last step: Secure the scarf knot through the fabric layers of the table runner. 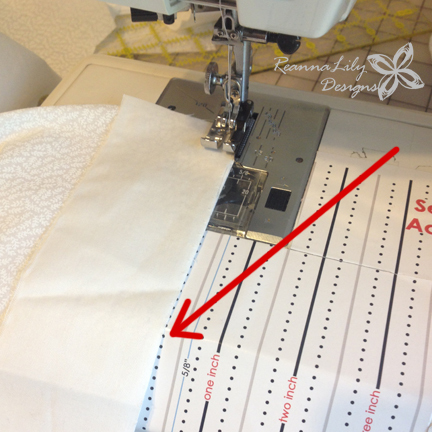 Set your machine to a wide zigzag stitch on a zero stitch length to create a “bar tack” to hold the knot in place. This step is especially important if you will use this as a wall-hanging. Adjust the knot fabric slightly to cover the bar tack stitch. Volia! You have a fun Snowman Table Runner! And now for the part you have been waiting for… the DAILY GIVEAWAY! 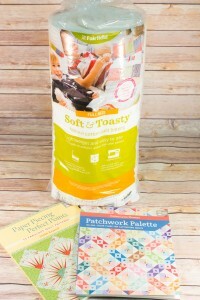 Today’s prize is a package of Fairfield Soft&Toasty Batting and 2 quilting books. You have until tonight, September 2nd, 2015 at 11:59p EST to leave your comment on this post. Comments posted after that will not be counted. 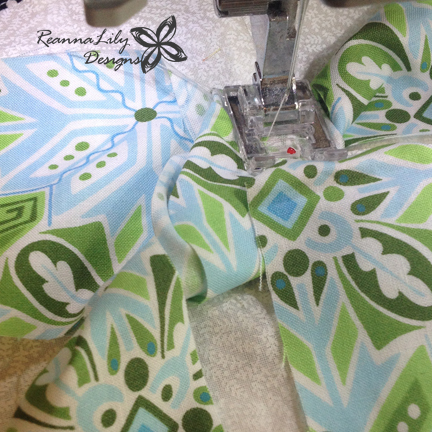 My favorite sewing tool is my Olaf rotary cutter–45 mm. Use it every day. 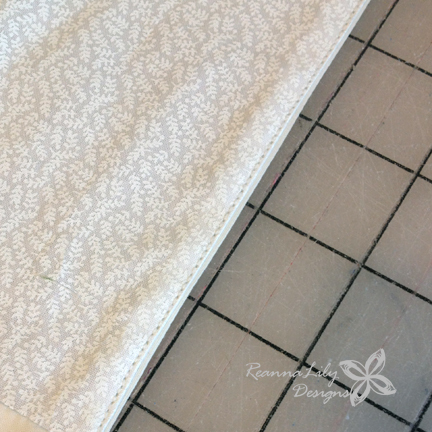 I’ve been quilting since 1976 and you can only imagine what a breakthrough this was unless you remember using sandpaper patterns, tracing around them, and then cutting all your pieces with scissors! My favorite sewing tool(s) are the presser feet in their various forms, they are so convenient and make sewing a delight! Love this. adorable snowman,.think I’ll make several for friends & family as early Christmas gifts. Love the snow man. My favorite tool is a seam ripper. Or a quilters guide. 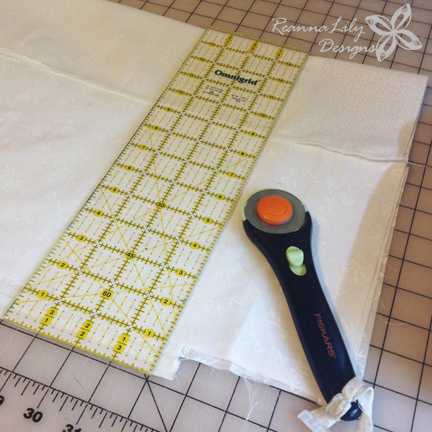 My Olfa cutting mat and my June Taylor ruler. Of course I couldn’t do much cutting if I did’t mention my rotary cutter. Thanks for the great giveaway. My favorite would have to be my magnetic pin cushion. I am in love with my self healing cutting mat and cutting wheels. I have various blades that I can change out and oh I almost forgot my weights that hold my fabric. No more pinning. it would have to be the sewing machine. thank goodness for someone coming up with the idea. so much better than sewing by hand! My favorite tool are my wonderclips. They save me from stabbing myself with a needle by accident. My favorite tool is my rotary cutter and mat. Without them I wouldn’t enjoy quilting like I do. My favorite sewing tool is my good pair of Kai shears. Idon’t do much sewing because I sew by hand . So I would say a needle.. I love the various presser feet that I have I have collected over the years. The needle box my mother in law stitched for me. My favorite tool is the team of the rotary cutter and mat. Those tools revolutionized the way I and others sew today. I came from the generation that learned to make quilt blocks by tracing with a pencil around a piece of card board & then cutting out the shape by scissors. My pieces evolved & changed in size or shape over time and seams became hard to match. The rotary cutter and mat call for no excuse to be faster and more accurate today as does your Seamingly Accurate Seam Guide. How can I print this. I can’t take the computer with me. My favorite tool is my magnetic pin picker upper. I especially like it when doing crafts that call for sequin pins and they spill all over the place (with the help of a grandchild or two). Those tiny pins are hard to pick up. My sewing machine is my best tool. I am always whipping up something for someone. Everyone loves home made items. I love to give! 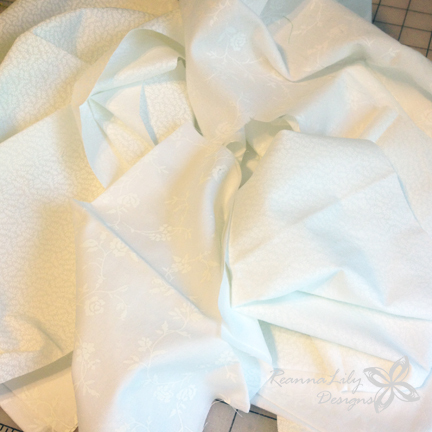 I just recently invested in a serger, what a difference it makes in my sewing projects! Actually, I only just started using a stiletto and I don’t know how I managed without it! Thanks! 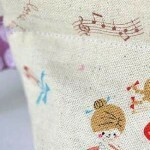 One of my favorite sewing machine and the different fancy stitches I can use. My sewing machine, Don’t know what I’d do without it. My favorite tool are my sharp Gingher scissors. 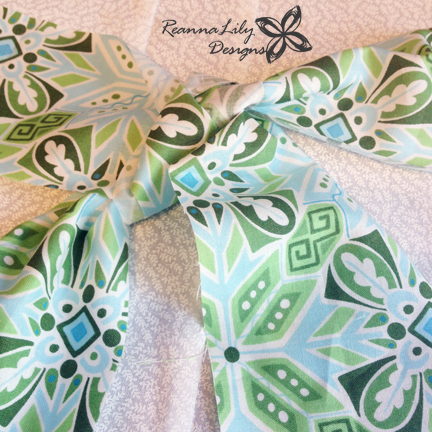 My favorite sewing “tool” is a pattern! 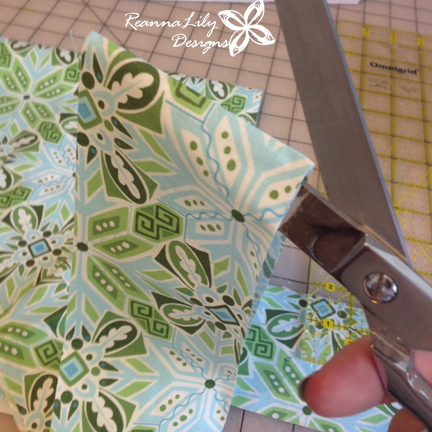 I have to have a pattern, scissors or rotary cutter, then sewing machine and the list goes on and on. My NEW sewing machine is my favorite tool! I’m in heaven! My favorite tool is my rotary cutter. Don’t know how I did without it all those years! Luv everything Snowman, because they are a wonderful winter decoration. My favorite tool are rulers they make quilting so much easier. I always say the more rulers you have the better & I use everyone of mine for different cuts. That would be my Sewing Machine. Mom taught me to sew at 9 and I’ve been sewing ever since.I’m 66. My favorite tools (and I say TOOLS) are for making quilts, rotary cutters mats, rulers (different sizes for the right look) and of course the electric sewing machine (what a wonder, I learned on a treadle) so you know I;m not a beginner! Thank you. My favorite tool is my bobbin winder. My favorite is my 1/4″ sewing machine foot! 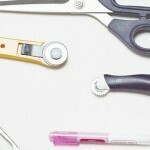 Good scissors are the most essential tool. 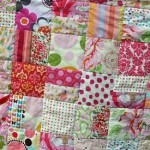 However, without my rotary cutter and mat I wouldn’t even attempt to quilt, and I love quilting! My favorite tool is my olfa rotary cutter 45mm. It has a safety trigger thank when you release it it puts the blade cover back. Love, love, love! My favorite tool is a seam ripper. My favourite tool is my trust Olfa rotary cutter! My favorite sewing tool is my machine. She’s like an old friend. She also reminds me how many sacrifices my hubby of 31 yrs has made for me & our family. He surprised me with the machine when I was beginning to sew for our now 26 yr old daughter. It was a big splurge for us money wise. My favorite is my sewing table. It holds all my projects that I’m quilting. Definitely my sewing machine! And after that my Gingher rotary cutter. I’d have to say the Aunt Becky’s finger saver is my favorite. Would love to try this table runner, it is adorable. Making seasonal table runners for a wedding gift, so happy to have seen this! Thank you! I love my machine, rotary cutters, and seam rippers – but my all time favorite is a simple hand needle and thread. I can use these while visiting with my family and still be a part of whatever is going on! Favorite tool is my rotary cutting tool and the rulers that I use all the time. Snowman pattern is so cute. My favorite sewing tool is my grandmother’s sewing box. I spent hours with her up in her sewing room at a child. My favorite tool is my pinking wheel on my rotary cutter. Saved my sanity when I bought fabric from a friend who stored it in a damp basement. Pinked a laundry basket full and washed it all. Love snowmen ,so will try that runner for the table. My favorite sewing tool is my Gingher snips. My mom and I each bought one over 30yrs ago and they’re still sharp and by y side when ever I’m sewing, quilting knitting or crocheting. MY favorite tool is my sewing machine. I can always improvise just about every thing else. First of all it would be my fairly new Janome sewing machine. Love all the different stitches it has. I have used my Grandmother’s Singer portable, one of the first models made. Made clothes for both kids & myself when money was very tight. This will be passed on to my daughter. Also like my seam ripper. Thanks for a chance to win the softy & toasty batting & the 2 quilt books. I’m thinking about learning to quilt, will start with an easy pattern. Thanks again. My rotary cutter. 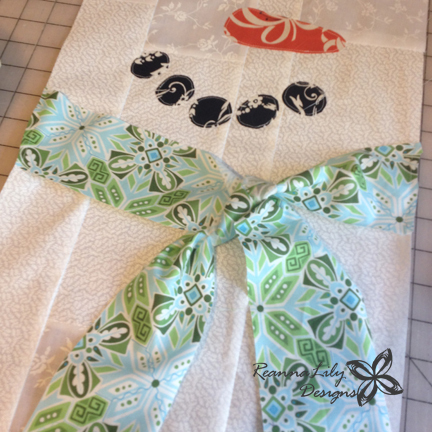 Love the snowman table runner! Thanks for the tutorial! My favorite tool is probably my cutting board because I use it for both hand sewn and machine sewn projects and it helps with a few non-sewing projects, too. My favorite sewing tool right now is my brass seam ripper – I wish I didn’t need one, but if I have to rip seams I want to do it easily and this tool is the best. My favorite sewing tool is my trusty sewing awl. I have saved more heavy-duty items that way, from belts and bags to shoes. In terms of money saved, this one has paid for itself many times over! My favorite tool is pins with colored heads. They keep the pattern on the fabric, keep fabrics together while sewing, help you turn a point,and muçh more. My favorite tool is the Seamingly Accurate Seam Guide. Love the snowman table tunner! My favorite sewing tool would have to be my sewing machine. I love to piece quilts, but would not get very many done if I had to sew them by hand like my grandmother did. For smaller tools, I would have to say my rotary cutter, mat, and ruler since they make cutting all those pieces so much faster and more accurate. Only one? My sewing machines, my rotary cutters and self healing mat, and my marking pens that erase or iron off. Why the seam ripper of course! But I’m pretty fond of my applique scissors with the duck bill. They really make things easy!!! My favorite sewing tool is still my sewing machine, followed by one of my favorite hand-sewing needles. Would love the batting and books. My favorite tool is my seam ripper. It is always ready to do the dirty job of ripping out a seam. My favorite tools with sewing are my mothers and grandmothers handmade rocking chairs pin cushions sitting close by with my mothers older singer [metal not plastic] sewing machine which runs like a charm with all the attachments. I bought a Quilter’s Cut & Press at a flea market for $4.00. Recovered it with part of a June Taylor gridded ironing board cover that I bought with a 60% off coupon. 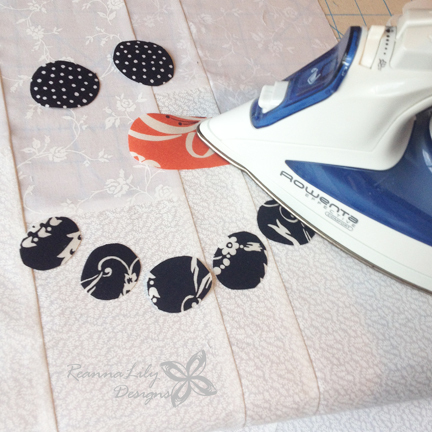 Use it all the time in my sewing room with a mini travel iron that I bought on ebay. My favorite sewing tool, do I have to pick, I love them all? I will say that now I have a Teflon sheet that I love it, no more sticky surfaces or wasting paper, I bought a second one I like it so much. I’ve been sewing for years and would be lost with out my sewing machine. Thanks for the very cute snowman pattern ! 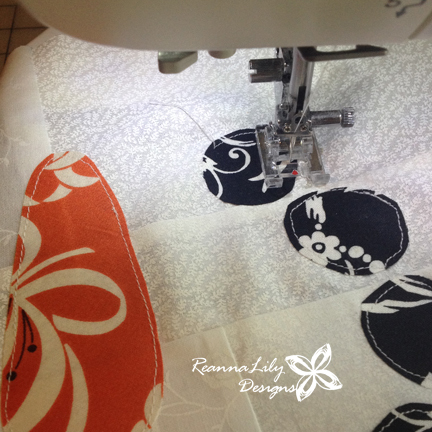 My favorite sewing tool has to be my sewing machine. I bought it at a garage sale for $25 about 12 years ago. It’s made a prom dress, a maid of honor dress, quilts, baby things and just keeps chugging along. I love gluesticks…use them for binding without pins, temporary sticking things down so I can sew without pins, & a multitude of other things. Can you tell I don’t like pins? I go through enough gluesticks, I should by shares! For high tech, I love my Husqvarna Viking SL LE with its endless sewing and embroidery options, especially the automatic buttonhole foot. For low tech, I love my measuring tape…for measuring fabric, placing patterns on fabric, or for measuring clothing (waistlines, inseams, etc.) for all the guys in my household. A small pair of gold colored scissors. They are the perfect size for carrying around cutting threads. My favorite too is my rotory cutter and mat. Probably wouldn’t be a quilter if I didn’t own one. I have the most amazing set of scissors. Mundial. In a beautiful embossed oak box with a gorgeous interior. The box looks as good as the scissors do. I love them. The best purchase ever. I absolutely love my new sewing machine! 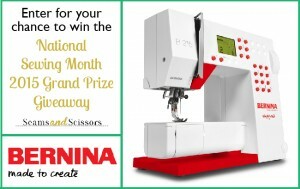 I got a Bernina 780 and the embroidery unit to go with it! 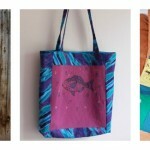 Now my challenge is to incorporate my embroidery items into my quilted items. I love, love, love it! 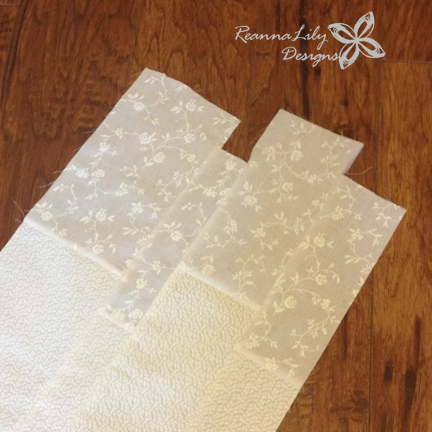 Sews like a dream with so many options that help me sew the best that I can! I absolutely love my new sewing machine! I got a Bernina 780 and the embroidery unit to go with it! 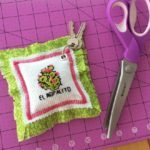 Now my challenge is to incorporate my embroidery items into my quilted items. I love, love, love it! 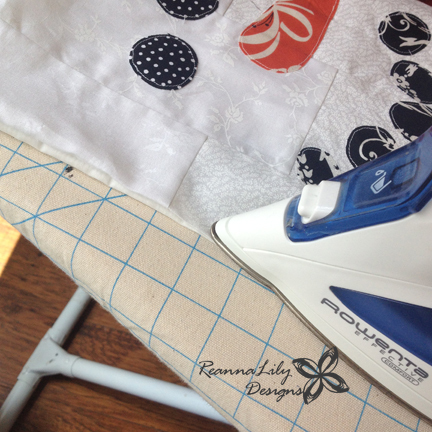 Sews like a dream with so many options that help me sew the best that I can! 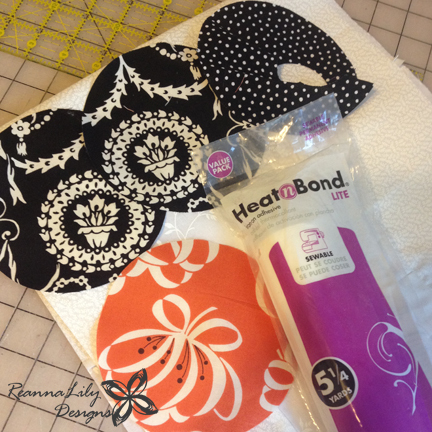 I also love snowman projects, so the table topper is a welcome tutorial. Thanks! My favorite sewing tool is the rotary cutter. It makes cutting so much easier, but you also have to have the rulers so they are all my favorites. My favorite tool are my Gold Seal scissors, I’ve had them since 1992 The best scissors I have ever had. 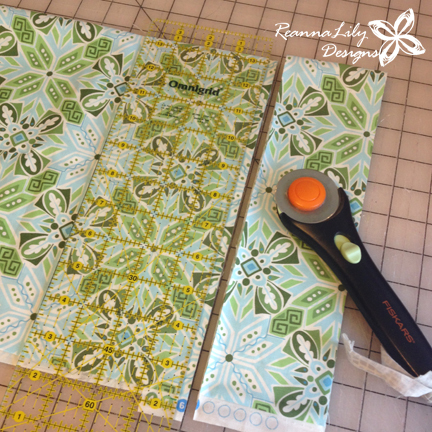 My favorite sewing tools are my rotary cutter & assorted rulers. Thanks for the cute pattern! Thank goodness for the rotary cutters and specialty rulers and templates. These are my favorites. My favorite sewing tool is my great grandmothers pin cushion. It always reminds me of her and her crazy quilted bags she made in the 1970’s when I was a kid. 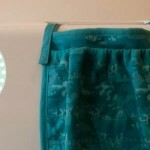 My favorite sewing tool is my Singer 301a sewing machine! 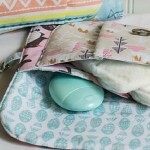 It sews the best straight stitches and is a total workhorse! She will sew on any type of material also, so another reason she is my favorite! My favorite tool is my sewing/embroidery machine. I got it for Christmas last year and finally took the plunge and did my first embroidery practice project with it. I can’t wait to start Christmas projects with it! My favorite sewing tool is the internet with all the “free” patterns and directions as well as the sources for supplies that I can’t find in my rural area. love the snowman and the sewing machine! My favourite sewing tool would probably be my scissors as I use them for every project I work on; from snipping threads, cutting out pattern pieces, cutting the fabric and sometimes even using them to poke out corners-very carefully!